The McLaren F1 is legendary for reasons that barely need repeating anymore. Fastest car in the world for over a decade. Most expensive car in the world for over a decade. Best car in the world forever and ever, blah blah blah. Less commonly known is just how much of an insane drain it is on the bank accounts of even the uber-wealthy who own one. You should watch the video for the full accounting of how the act of merely owning a McLaren F1 is enough to bankrupt a number of southern European countries. 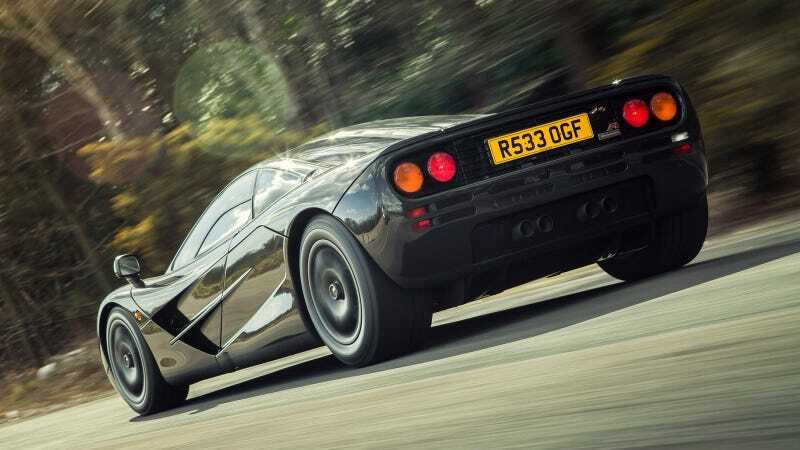 Forget about driving it, in fact, as a number of the McLaren F1-specific parts have time limits, and not just mileage limits. But if you want a new fire extinguisher? That’ll be $800, please. It’s over $300,000 for some paint. And it only goes up from there.